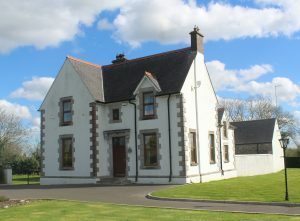 Some of the funds raised by Fr John Boylan (1821-1899) in the USA, Scotland and elsewhere, were used to build residences for the clergy of the parish. During the 1880s, the parochial houses of St Mary’s and St Joseph’s were built in Crosserlough and Drumkilly respectively. At that time, the parish priest resided in Crosserlough and a curate resided in Drumkilly. 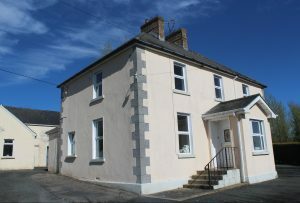 The curate for Kilnaleck lived in Fairymount in the townland of Killytogher. In 1944 a new parochial house was built on Church Road in Kilnaleck. 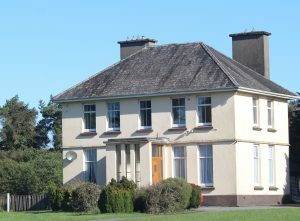 The new house in Kilnaleck became the residence of the parish priest, while the curate, who had been residing in Fairymount, transferred to the parochial house in Crosserlough.